Roy Lichtenstein was an exceptionally versatile artist, who did not wish to confine his visual language to his paintings, but sought to apply it in many other ways as well. Thus he created the famous paper plates and original wallpaper for the Bert Stern's celebrated, but shortlived On 1st gallery in New York in the late sixties, made designs for ceramics, multiples and record covers. Curiously enough, Lichtenstein made only two original book covers, both for books by his friend Frederic Tuten. The first was a portrait of Mao for The Adventures of Mao on the Long March (1971). Although there are later reprints, Tuten was not exactly a bestselling author and first edition copies have become very rare, even in the US. 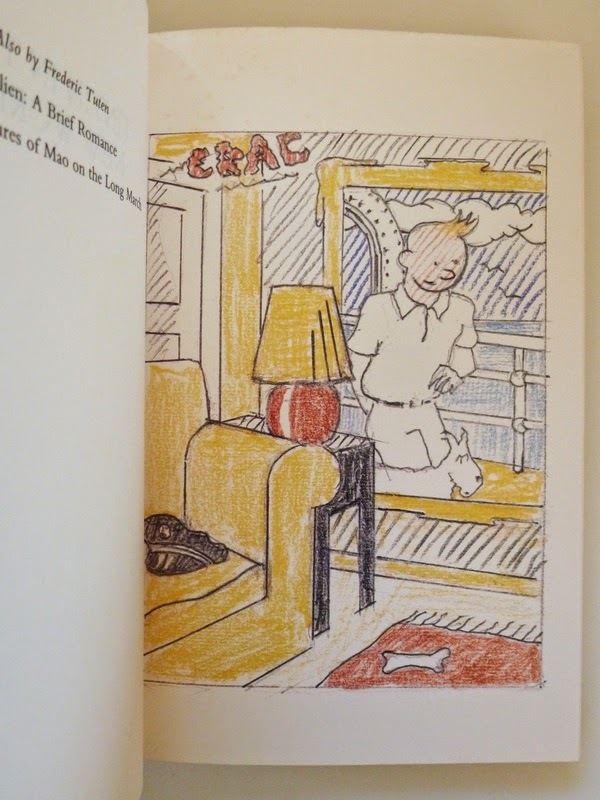 The second cover was especially made for Tin Tin in the New World: a romance, published in 1993. It was based on a huge painting (205 x 167 cms, now in a private collection). 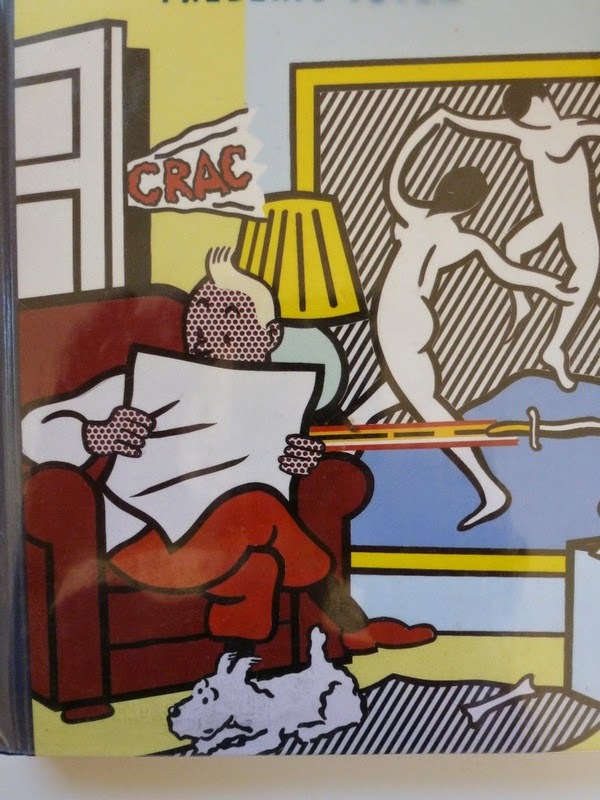 On the occasion of Lichtenstein's retrospective exhibition in Brussels in 1995, an offset poster (without text) was published by the Belgian firm Plaizier in an unspecified edition. Although it appears to be out of stock there, the print is widely available on the internet, suggesting there must have other subsequent editions as well. But even so it is generally regarded as a collectors’ item, fetching anything up to $500. 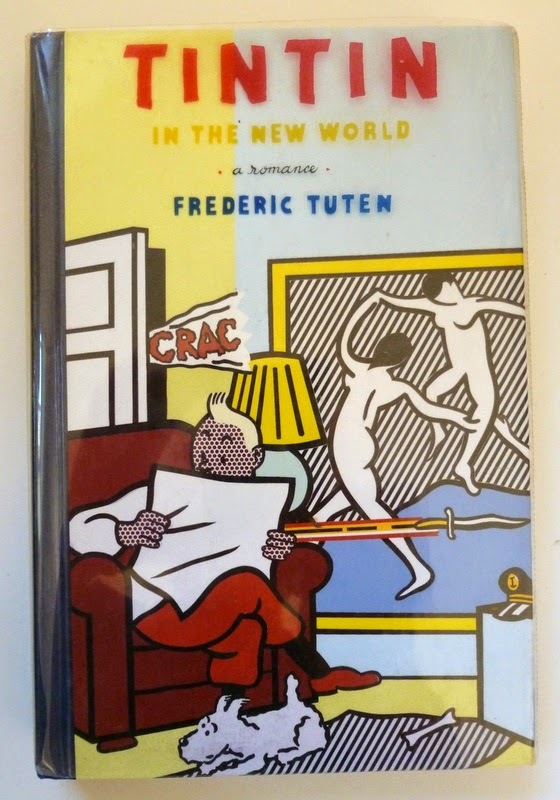 Frederic Tuten, Tin Tin in the New World: a romance, 1993, first edition, with a very fine original cover design by Roy Lichtenstein, and an altenative design reproduced as frontispiece. New York, William Morrow, 1993. Boards, hardcover with mylar dustjacket, 22 x 15 cm, 239p.